Sep 3, 1910 – there was the second accident in two days at the Alexandria Hotel in downtown L.A., which was having an annex built. Iron worker Martin Burkwitz slipped from a girder and fell three floors, suffering many broken bones – though it’s unknown if he died of his injuries. The day before, worker Louis Jeffries had been crushed by a girder, and as his body was removed a riot broke out among the surrounding crowd. Sep 3, 1932 – funeral arrangements were announced for Fred Baylies, 52, who had died of a heart attack in his room at the Roosevelt Hotel in Hollywood. at his home alongside the mountaintop Yamashiro, a Japanese-inspired palace in the Hollywood Hills. Colombo, who was once engaged to Carole Lombard, was showing his friend Lansing Brown an ancient gun. Brown was handling the gun and lit a cigarette; a chip from the match landed in the trigger chamber and shot Colombo right through the eye. Debated has raged over whether it really was a freak accident, but either way it was the end for Colombo. Astonishingly though, the family never told his mother. She was in poor health and near-blind, so for the following years until she died, everyone around her faked letters, phonecalls and postcards, all for the “merciful fraud” of showing her that Russ was still alive, just always touring or in foreign climes. Amazing! Sep 3, 1976 – An elderly woman in her 70s was founded murdered, her apartment ransacked, in downtown L.A. Police were worried a serial killer was on the loose, as just a few months before another elderly woman had been killed in her room at the Stillwell Hotel. Were the murders connected? For all you fans of real/true crime, these are pictures I took in and around Lincoln’s Inn Fields, the center of the legal profession in London, England – it’s barely changed in centuries. The regal-looking place is the Royal Court of Justice, there’s a ghost sign too, a very old postbox (mailbox) and Peabody the Cat! Last week I was in England (where the temperatures were actually hotter than Los Angeles!) and I thought I’d share some pics from my trip. The first ones are from my home town of Watford in Hertfordshire, which is about 15 miles north of London (and very close to Warner Bros Studio London, home of the famous Harry Potter tour). I read a story that mentioned Jackson Jewellers on the Parade in Watford High Street (or what American would call “Main Street”) was haunted, so naturally I went in there to investigate. I spoke to David Jackson, the third-generation of the family, and he told me the building was built in 1480 – as you can probably tell – and that the shape of the hearth and chimney were still there (as you can see in the picture). It felt (and smelled) like a very old place, what with the silver, the antiques, the quiet atmosphere and the chiming clocks, and one of those clocks even had it’s original receipt from 1888 – the year Jack The Ripper was killing prostitutes in the East End of London. 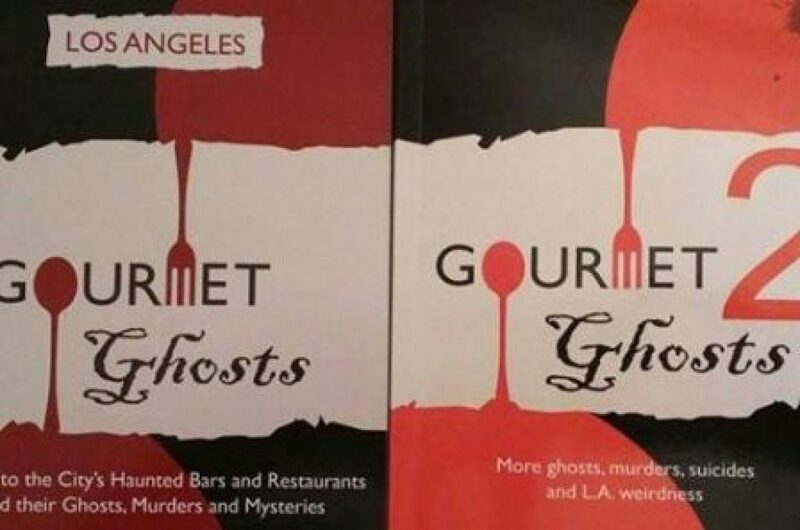 As for the ghost, David explained that there used to be a restaurant upstairs – and as soon as he said that I had a flash of my childhood; we used to go there for lunch sometimes! Talking to my mother later, she remembered the restaurant’s name: The Copper Kettle (and she told me that her engagement and wedding ring both came from Jackson’s!). As for the Elizabethan ghost, that turned out to be “fake news”. The restaurant owner HAD said that he “always felt as if there was someone or something moving around in the dark” when he was there late at night, but that was about it! Either way, I’m glad Jackson’s are still around! Underneath this one is it’s first receipit from 1888 – and it’s still working!